Josh Jowdy seeks creative approaches to achieve clients’ goals at the pleading, discovery and trial stages of litigation. 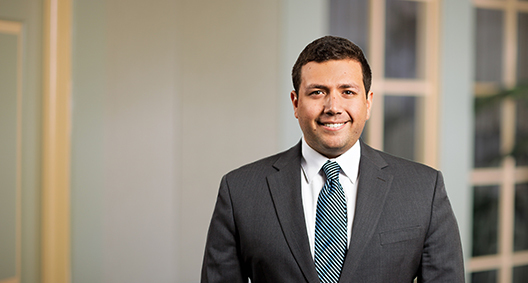 Focusing his practice on federal and state antitrust law, Josh defends clients against allegations of cartel activity in criminal grand jury investigations and civil class actions. Also, he assists clients in obtaining clearance for corporate mergers under the Hart-Scott-Rodino Act from the Antitrust Division of the Department of Justice and the Federal Trade Commission. Assisted in researching, drafting and structuring arguments for an amicus brief filed in a disability rights case in the United States Supreme Court for the Paralyzed Veterans of America, the Epilepsy Foundation, the National Federation of the Blind and 10 other organizations. Represented low-income individuals and families in hearings and settlement negotiations during eviction proceedings in the Landlord-Tenant Branch of the Civil Division of D.C. Superior Court as a student attorney with Law Students in Court.